It’s almost that time of year again! 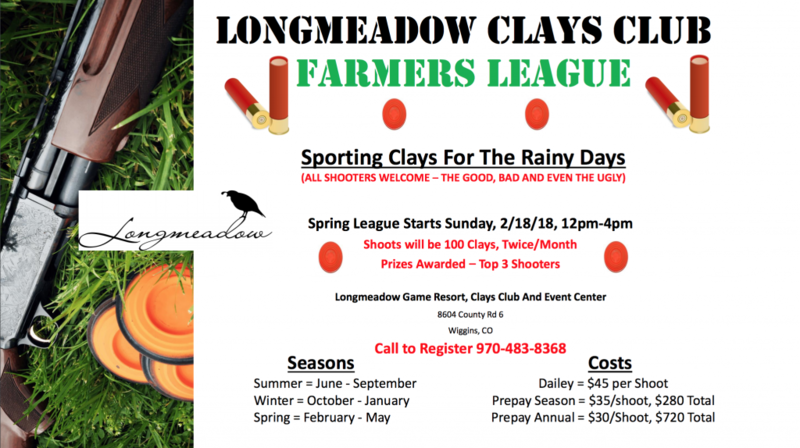 Birds chirping, flowers blooming, and of course, the sound of clays breaking! 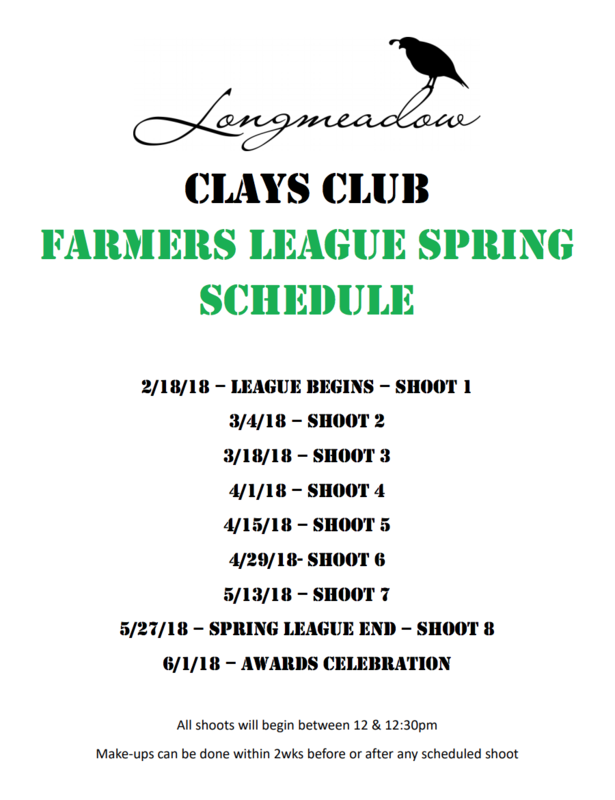 That’s right, springtime will soon be upon us, and with it comes the start of the Longmeadow Spring Farmer’s League Season! 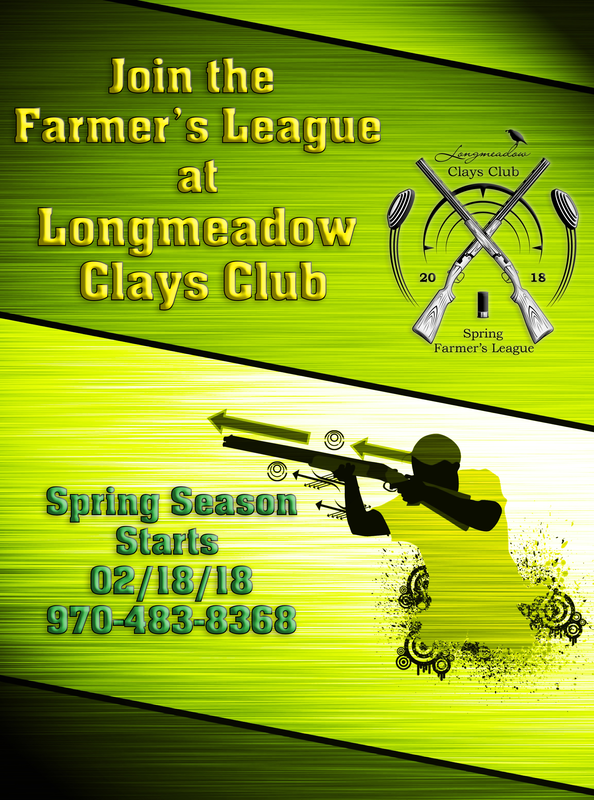 We would like to welcome back any and all previous shooters, as well as anyone new who’s looking for an excellent way to get back outside after all this cold weather! The Spring Season started on Sunday, February 18th at 12pm, and shoots will be held twice per month, with prizes awarded to the top three shooters! 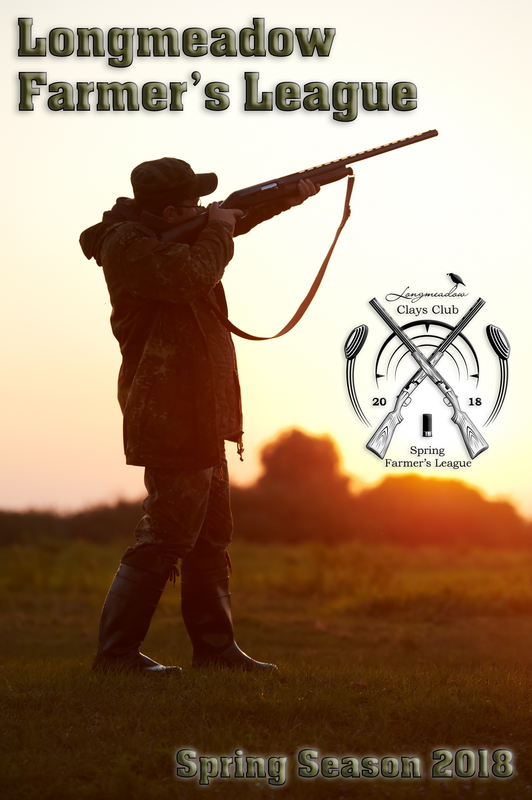 You can find a full schedule for the season below! 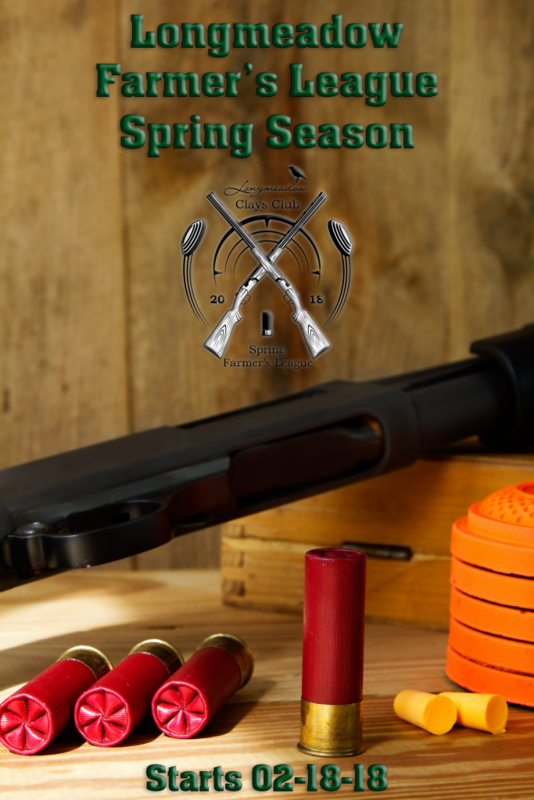 To get signed up for the season, or even just an individual shoot, call today at (970) 483-8368, shoot us an email at @ "> @ , or feel free to use our handy contact form at the bottom of this page! 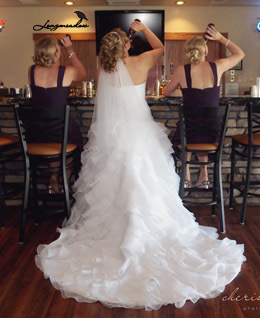 Check HERE for results from previous shoots!